Departing from Kona, Hawaii. 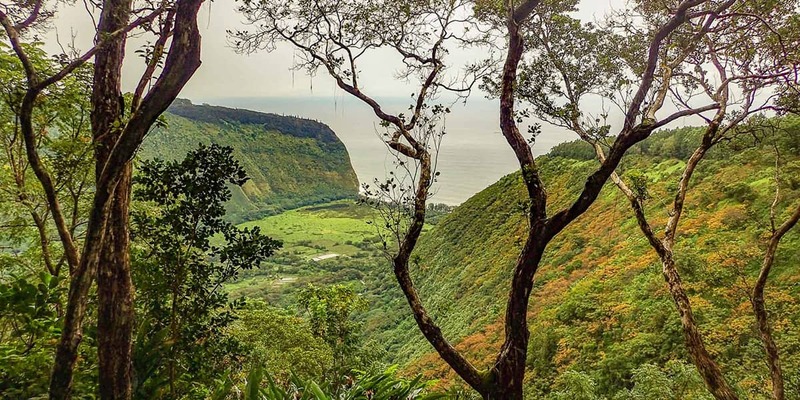 Nature lovers and birdwatchers delight in exploring two exceptional habitats revealing the evolutionary epic of Hawaiian biology and observing native flora and fauna found nowhere else on earth. 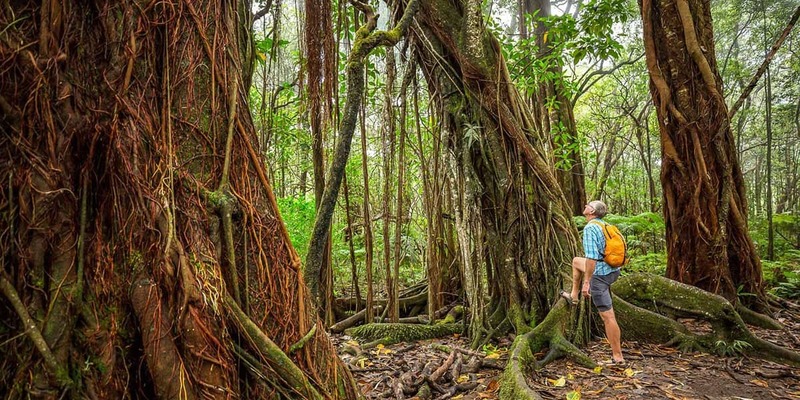 Rainforest – Our destination is the Puu Oo Trail, a historic cattle drive route, located at the 6,000 foot level of Saddle Road on Mauna Loa’s northeastern flank. This is the windward side of the island, and is often cloaked in misty clouds. It is enchanting to be serenaded by the forest birds as we make our way over three to four miles of sometimes rough lava trail, crossing over the 1855 and 1881 lava flows. Guests should be able to hike on uneven or rocky terrain. We sometimes encounter cool, wet or muddy conditions. Other tour restrictions may apply. What to Bring & Wear: Sturdy closed-toed shoes or boots, long pants, and a light rain jacket. Schedule: Morning trips departing weekdays only (except holidays). 11 – 12 hours round trip, departs from Waikoloa Queen’s Marketplace, Highway 190/Waikoloa Road Junction and Hawaii Forest & Trail Headquarters. Rated: Easy to Moderate; ages 8 and over. 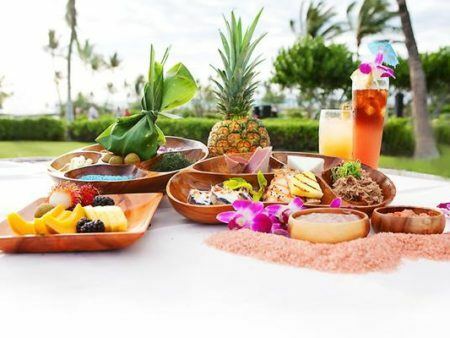 Included in the Tour: Continental breakfast including fresh local fruit, baked goods, 100% Kona coffee, tea and hot chocolate. Deli-style lunch, with assorted soft drinks, juices and bottled water. Gear Provided: Walking sticks, binoculars, day packs, warm wear and rain ponchos. Group Size: Tour limited to a maximum of 12 guests. How much hiking do we do? 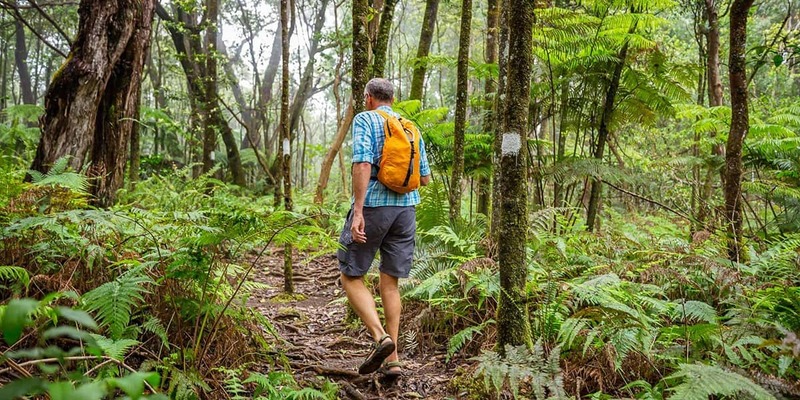 Expect to hike approximately 4 miles in the Rainforest portion of this adventure, and less than one mile in the Dryforest portion. Is there elevation gain? Elevation gain is minimal: 500’ in the Rainforest, and 350’ in the Dryforest. What is the difference in the birds seen on Hakalau vs. Rainforest & Dryforest? The Akepa and Hawaii Creeper are found in Hakalau, while the Palila is found on the Rainforest & Dryforest Adventure. Is it possible to use a spotting scope? Due to the behavior of Hawaii’s endemic birds, the use of a spotting scope can be challenging. If you feel up to the test, we do encourage you to bring your own birdwatching gear. We do provide binoculars on the tour for guest use. Is it possible to get photos of the birds? Typically, there are many opportunities for the determined photographer to photograph the birds along the way. On the drive to our two primary locales, we head north along the coastline before starting the climb to the old Mamalahoa Highway, keeping an eye out for open-country birds. From there we’ll connect to the Saddle Road and begin car-birding, primarily for game birds as well as for the Pueo, or short-eared owl. Depending on the weather, we’ll stop for a bit of breakfast along the Saddle Road, often at Mauna Kea State Park at Pohakuloa, or at our Dryforest birding site. Rainforest – We’ll park just off the Saddle Road at the trailhead of Puu Oo, heading due south over the lava flows. Small pockets of koa and ohia spring up along the trail but our destination is kipuka #34 and #35 which are some of the most productive birding areas in the state. Some of the avifauna we hope to spot along the way are iiwi, apapane, amakihi, omao, elepaio, and the elusive akiapolaau, with its unique multipurpose beak. Many of these are found in the ohia and koa canopy. Dryforest – At the Humuula hunter check-in station just off Saddle Road, we go into the Kaohe Game Management Area and four-wheel it to nearly 7,500 feet on the western side of Mauna Kea to an area known as Puu Laau. 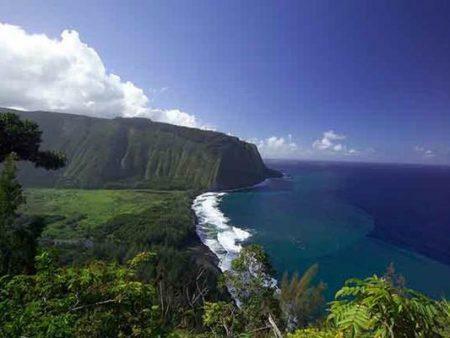 The area is mostly park-like and typically commands stunning views of the leeward coast below. 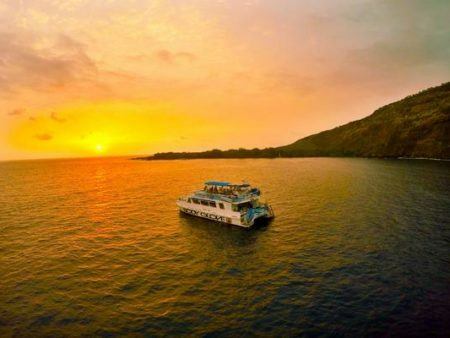 Behind Hawaii’s Waikoloa Beach Marriott Resort, the ancient seaside trail of Ala Kahakai runs along magnificent Anaeho’omalu Bay, passing two fishponds in which mullet and other valuable fish were once protected for the use of Hawaiian royalty.